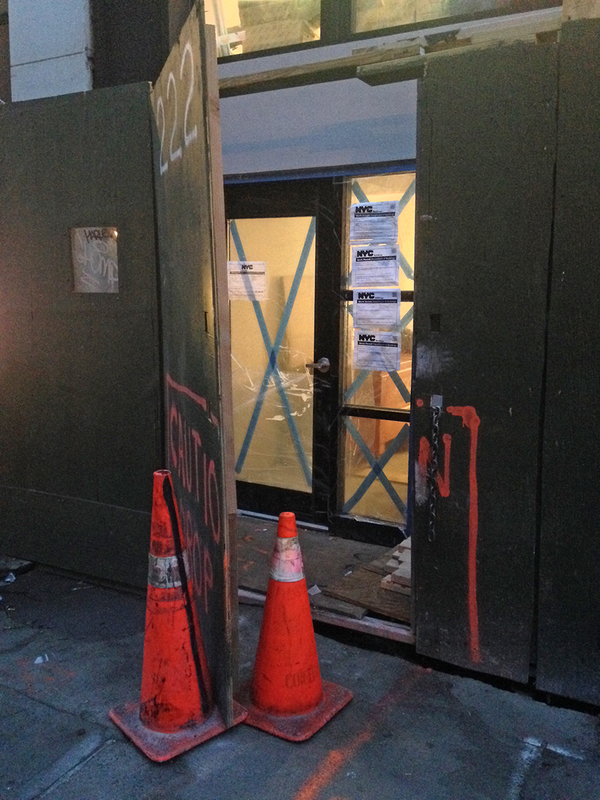 If you've been wondering what the entrance to the currently-being-constructed apartment building on East 7th Street looks like, wonder no more! Entrance, and two orange cones. If you've been wondering what the currently-being-constructed apartment building itself looks like, you really need to stop looking at your feet when you walk! Is that a disco floor there? Cool! 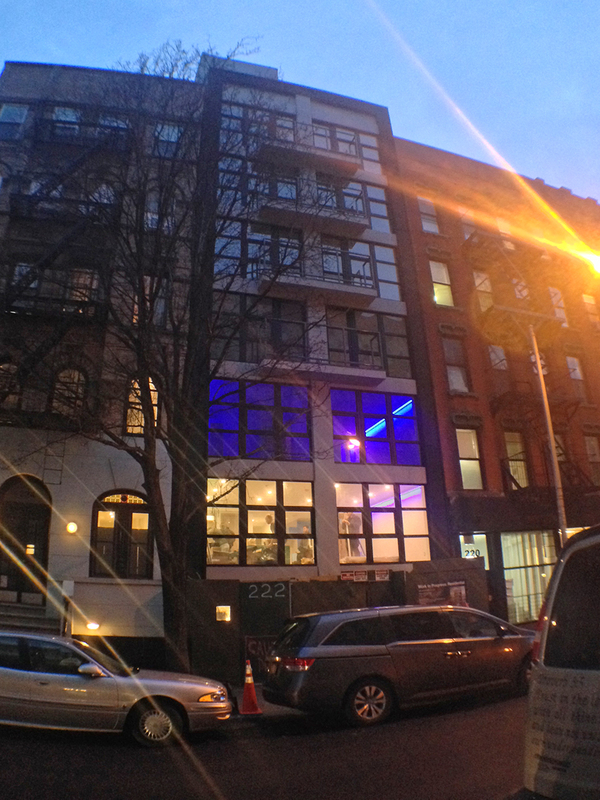 neat lighting on that 3rd floor! the 2nd floor like it might have the same lighting, but the room lights are on, so you only see the glow on the wall.